Are you intrigued by men in uniform? A group of special operations Deputy U.S. Marshals fight for what’s right and indulge in what’s sinful in the Shadow Stalkers Mini-series. 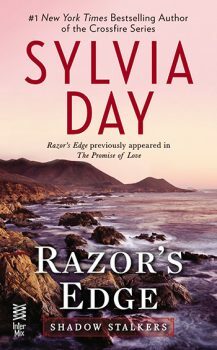 There are four stories in this series; start with Razor’s Edge. For a special ops of a completely different kind, the Carnal Thirst series follows an elite group of vampires working for the interstellar Special Task Force. There are two books in this series; start with Misled. All these agents play as hard as they work.